OJB is a producer, composer and engineer living in Denver, Colorado. 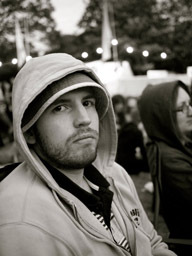 He is a trained sound engineer who specialises in composing original hip hop, trip hop and instrumental music. He has been involved in music production for over 10 years. As a former rapper his musical roots are heavily planted in the hip hop music scene, however his compositional style, whilst original and professional, leans more towards instrumental music for TV and film. OJB has been involved in hip hop music for many years - at one point he was running one of the most successful UK based hip hop forums with a million hits a month. He is, by trade, a professional website developer during the week but spends his free time producing music.